(Rick Anstotz from Yards Brewing Company) The *Yards Bourbon Barrel aged Thomas Jefferson Tavern Ale* was maybe the beer that picked up the most vanilla Bourbon flavor. 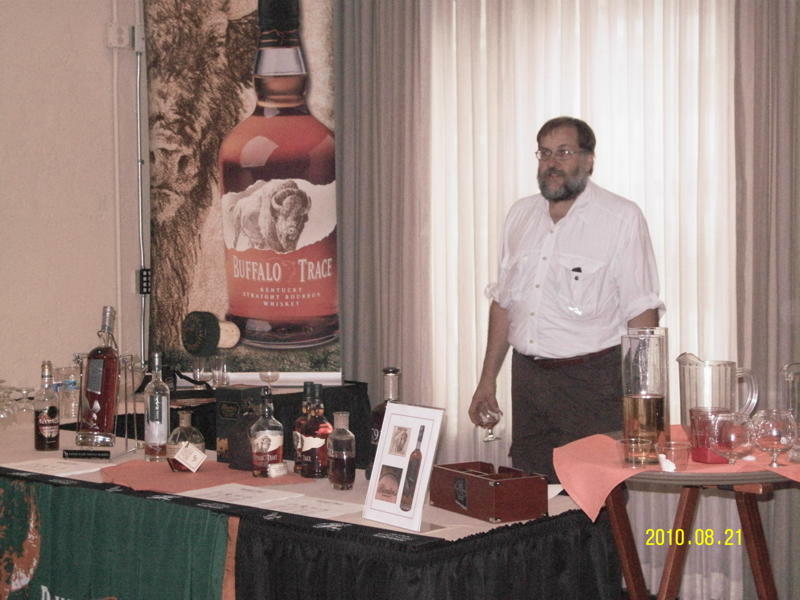 The *Stoudt's Bourbon Barrel Cask-Conditioned Scarlet Lady* was a special one-off for the occasion, and that was the beer that was most transformed by the bourbon barrel-aging. 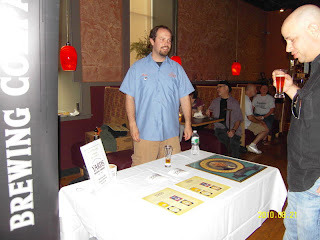 Anyone who’s had a Scarlet Lady is familiar with the lively, hoppy ESB, and it was close to impossible to believe that the earthy, mellow, round tasting brew at the event was the same beer. 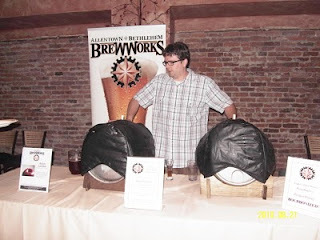 (Josh Bushey of Allentown Brew Works) The Brew Works had three selections. The *Beau’s Perfect Porter* and *Black Dog Stout* were mellowed versions of flagship beers, but they also had a kegged *Apple Lambic* that was a nice tart change of pace from all of the rich vanilla flavors. Weyerbacher poured their popular bourbon barrel-aged brandywine, the *Insanity. 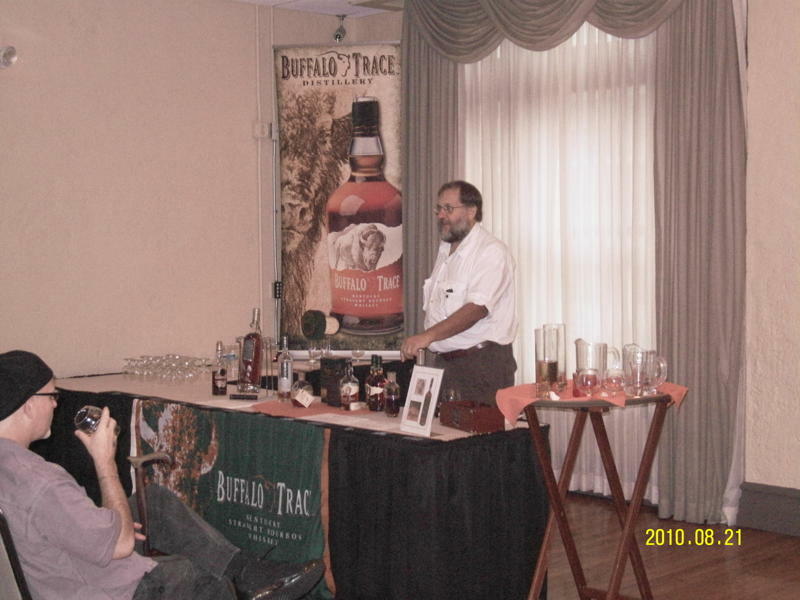 * (Lew Bryson, presenter) The third floor was devoted to bourbon, including multiple sessions by *Lew Bryson,* who talked on everything from the Pennsylvania roots of whiskey to the modern innovations and procedures that create great bourbon today. The full slate of *Buffalo Trace* distillery products was a particularly popular hit, in part because it offered tastes for all palates, including the bourbon neophytes in attendance.